Streamline Office Services is proud to announce that it has signed a new deal that will let it fit-out workers across a wide range of industries in the highest quality workwear available. What this means for our customers is that they can trust Streamline to supply stylish, comfortable, high-quality workwear that meets recognised international standards, and is perfectly suited to the individual needs of the business in question. And all of our clothing comes with the option of personalised embroidery showcasing your logo. The importance of clothing that can perform a number of functions, from safety footwear to flame-resistant and high-visibility workwear, cannot be overstated: style matters, but safety is a must. With Streamline, you get both. The reason that high quality workwear is a safety must is clearly illustrated by the statistics. Around 13,000 people die each year from work-related illnesses caused by harmful dust or chemicals, and around 8,000 of these deaths are related to cancer from “poor working environments.” Proper protective clothing is your first – and often only – line of defence against these factors. Likewise, high-visibility (hi-vis) clothing is a known lifesaver. 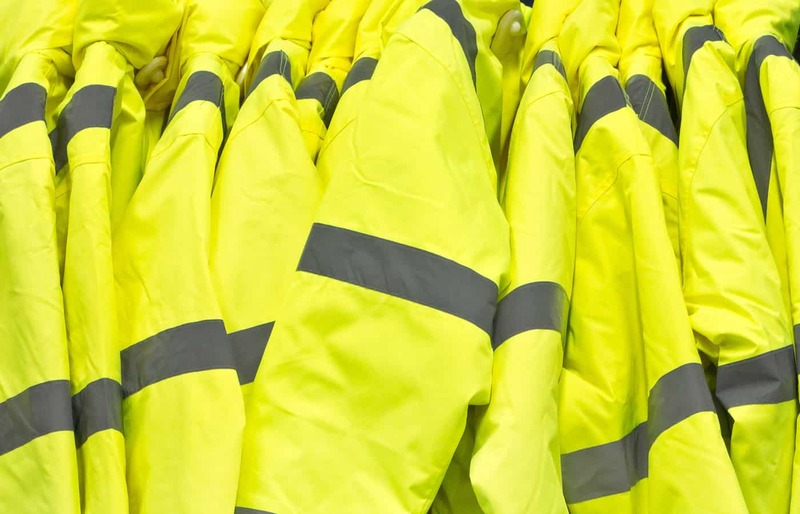 Perhaps the most informative study to deal with effects of hi-vis clothing was published a year ago in Denmark. Researchers tracked 6,793 cyclists and found a 47% reduction in “incidents involving other road users” when participants were garbed in hi-vis gear. Beyond safety, there are of course a myriad of other reasons to ensure your staff is correctly kitted out. Comfort is important – a happy worker is a productive worker – and so is branding. Having the best website and waiting room in the country only goes so far if your staff look unkempt and unprofessional. Whatever your needs as a business – whether you’re looking for style, safety, or a combination of the two – Streamline is committed to providing you with the very best the market has to offer. We pride ourselves on offering a top quality service to all of our customers, and believe this starts with communication. If you would like to enquire about how Streamline Office Services can help you, please contact us using the form below.